What are the best On-Page SEO Techniques to rank my content first on Google? Do you really think there is such a guaranteed formula to get highest ranking in Google search? Frankly speaking, the answer is Big NO. Then what is this article is all about? In this article, I will share about the On-Page SEO best practices with which you can optimize your content to rank higher. There are multiple factors involved to get the first position in Google search. More than 200 ranking factors are actually calculating together to rank every page in search engine. As a blogger or digital marketer, we can make sure that our content is as per the On-Page SEO checklist so that we can take improve our chances to beat our competitors and get better ranking. What is On-Page SEO? Why Do We Need On-Page SEO (Search Engine Optimisation)? Why Still Your On-Page SEO Techniques Will Fail? I think all of us are aware that the statement, “Content is the King“. If you can write a huge in-depth content with almost every detailed information, then your article will have good chance to break the top position in Google search. But this is not 100% true. Why? There may not be any doubt about the writing skill of the author or the writer. But to get a higher ranking in Google search of the top position in search engines, we have to convince search engine algorithm. A search engine algorithm is nothing but a program which understands certain things in a particular way. So, one must know what are those ways, a search engine actually treats your content, understand your content so that it can reward your content with the higher ranking. Here we can introduce Search Engine Optimisation or SEO. Whatever good your content is, you have to make your content ready in such a way that search engines can evaluate them as per their algorithm and rank them higher (this is one factor of ranking high). SEO or search engine optimization can be broadly categorized as On-Page SEO and Off-Page SEO. Off-Page SEO is what we do outside our website to make sure it gets the proper signals to rank high. And On-Page SEO is what we do within our website (mostly content writing) to get it optimized for search engines. In this article, I will share the 10 most effective On-Page SEO techniques to make your content highly optimized for better ranking. As a beginner, you should understand this first and try to practice more while writing content for your website or client. Make sure you are keeping the main keyword in your meta title tag. Your keyword position in title carries the maximum on-page SEO factor. f possible start your title with the main keyword. But make sure it looks natural. Make sure you are keeping the maximum SEO title length of 60 words. If you are using Yoast SEO plugin, then here I am talking about the meta title which will be showing in google search results. The blog title will consider an <H1> tag title which I will mention next. In most of the premium WordPress themes, the blog post title will have H1 tags. I am using Focus blog theme which is SEO optimized. Generally, we have 6 header tags and they are H1, H2, H3, H4, H5, H6. As per theory if you can use them all it is good to make your content SEO optimized. But there is no such hard & fast rule and you should not forcefully use them all. Generally, your blog post title will be H1 (considering a premium theme) where you should keep the main keyword. Try to make little difference between Meta Title Tag and H1 tag/blog title. In case of blog title or H1 tags, there is no word limit. Most of the themes are coded in such a way that your title will always become an H1 tag if your theme is not doing the same then better to change it. Regarding remaining tags, you can categories any content broadly and use H2 tags. Try to use related keywords of the main keywords in H2 tags and explain the topic in dept. Whenever you need sub-headings under the H2 tag, better to use H3 / H4 tags. Regarding H5 & H6, if you really think they can be used in your article, then go ahead. I generally hardly use them, but you can find that my WP theme is having few things with those tags. E.g. sidebar title or short-code title etc. Many people ask how many times we can use H1 or H2 tags. I think it is better to keep the H1 tag for blog post title (maximum one is good) and one can use multiple H2 tags. But make sure you are not overdoing this. Make sure your main keyword is always there in the first paragraph. If possible you can start with your keyword also, but try to make it natural and readable for users, rather than stuffing keywords forcefully. Also, use the keywords in H2 tags & H3 tags wherever possible. But don’t try to repeat more than once. Rather, you can use long tail keywords & semantic keywords for remaining header tags. Try to put your main keyword & related terms naturally in your article and make sure you also use bold, italic an underline also. But again don’t overdo this and try to make it as natural as possible to improve the user experience. At least finish the article with the main keyword. Means try to put the main keyword in the last paragraph also. Another thing I have noticed in many bloggers do these days, they conclude the article with an H2 header tag where they mention the main keyword. You can also try such things to optimize your article. Your permalink or blog post URL should be optimized and as short as you can keep. Make sure that your main keyword is there in the URL. By default, WordPress URL will have date & month format which is not good to have. Better to change the same and make it simple. Keep the URL keyword rich and avoid unnecessary words like a the, in, for etc whenever possible. Try to add relevant images, charts, and videos within your content. This will help a user to understand your content better way. This will also help a user to spend some time on your blog and this will help to increase the dwell time & bounce rate of your blog. Don’t hesitate to link to other websites with resourceful articles. But make sure you are linking something related to your topic which will give the user more information to understand your article. And also make those links open on a new tab so that user can come back to your article after checking that reference. E.g. I mostly link with authority website like Backlinko, Neil Patel, Shoutmeloud, Seachenginejournal, Moz, Wikipedia etc. In a similar way, make sure you are also linking within your article also. Where you are writing some topic, make sure you are writing on a similar topic, this will help you to cover almost every single topic of that category and also help you to link within articles. As a reader, he/she will be able to navigate easily to other similar articles to gain more knowledge about that topic within your blog itself. This will help your readers experience, improve dwell time and improve bounce rate. Image SEO or Image optimization is the most neglected part of on-page SEO techniques. Mostly newbie bloggers forget to do this before posting their articles. There are a couple of things you should do before uploading your image to your blog post. After uploading the image to WordPress, make sure you keep alt tag as the main keyword and also the image title. You can Keep image Title as normal, but Alt tag as small letters. Writing a lengthy post with in-depth information is the demand of the current time. Gone are the days when you can simply satisfy by writing 500-700 word article. The avg content reaching on the first page is having at least 2000 words and this data will change very soon. The reason is obvious, everyone is trying to write even longer content to rank higher. If you are not confident enough to write such a long content, then you can read the skyscraper technique. Follow your competitor’s article which is ranked higher and try to make a better content with more information. Don’t copy paste, split the content into several parts of say 300 words and try to rewrite that piece with better information, better presentation. It will take some to get used to writing such long articles. The meta description is a very important part of SEO content writing. Because this is what users are going to see when they search for something and find your article on search results. But there will be many more entries on the similar topic, and in that case, if your meta description is appealing enough to the user, your article will get user attention. That means simply by adding main keywords, your meta description will not be that much effective. You have to write such a way which will attract users click. This will help you to maximize organic CTR. Even though you follow all these best on-page SEO techniques, there is a chance that your content will not be able to make it to the top Google rankings. As the major reason for that would be a couple of them I have mentioned below. The keyword you selected to rank is a big factor. If you are trying a high competition keyword like “Make Money Online” or “Car Insurance Quote” then you really need to work very hard to rank it number #1 in Google. But still, I will say it is almost impossible as those spots are commercially targetted and they spend huge money to get the desired ranking. And the most important one is your website speed. How fast your website is loading compared to your competitors. In the age of mobile search, voice search Google is preferring the fastest loading pages only. 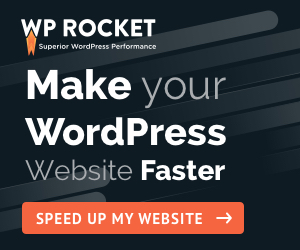 Make sure your WordPress hosting provider is fast enough, you can also use Google AMP to make sure your mobile site loads faster. Do your website has a social share button? If not you must install it first, so that your users can share your content on social platforms. Social signals are like trust vote and the more you get, the more trustable your content. This is a very good signal for search engines also to rank higher. Do you think these on-page SEO techniques are enough to rank first in Google? There are many other factors which come into picture while calculating search engine ranking position. But these are few basic one, which is must to apply while writing your content. If you find my efforts useful, please share this article in your social profile. Thanks for sharing this article. Am new to blogging and searching various things on website traffic increasing on web, and I got some useful information with your article. Thanks for your effort on this article and also for sharing this. keep posting such a good informative content as this will useful for most the bloggers who are starters. Hiya very nice site!! Guy .. Beautiful .. Wonderful .. I’ll bookmark your website and take the feeds also?I’m glad to seek out a lot of useful information here within the publish, we need work out more strategies in this regard, thanks for sharing. . . . . .
You list out very huge lists. It is very tough to keep up with every aspects of seo. It would be better to care about our readers instead of Google. It’s definitely tough everything in line all the time, but these are few factors I think every blogger learn gradually while preparing content. Great tips about On-Page SEO. You have covered many necessary information related to On-Page SEO. SEO is a very big topic and there are many things to do to get better results. Writing quality content is not enough to rank high on search engines rather than we need to make an effort to make it SEO friendly too. Thanks, Praveen. You are right even though the content is the king one must have an authority domain to rank that content higher. This is a perfect checklist for those bloggers who wants to practice on page seo. If I may add, you could also talk about optimizing site speed and having their website “mobile friendly” because these 2 are also major ranking factors by Google. You are right. I am going to add these 2 factors and few more to make this article worthy for beginners. Many thanks for sharing your thoughts here. Thanks Dipak for finding this article useful.